Open from 11am-7pm. Closed on Mondays. 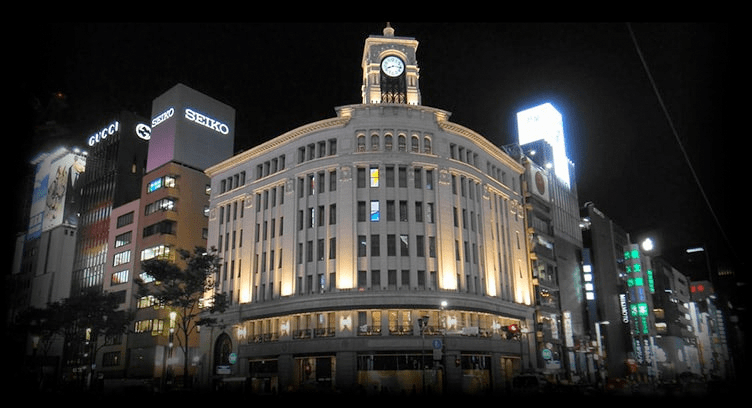 2 minutes walk from A2 exit of Ginza Metro station. Please walk straight towards Ginza 7. You can find us on the opposite side of LAOX, ZARA, and H&M. 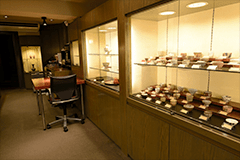 We are next to Piaget. Credit card, international remittance, Paypal is accepted. Tax Free is applied when you purchase more than 5,000yen. - Antiques to contemporary ceramics. 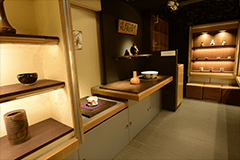 - Various sake cups, tea cups, tea bowls, vases, tea pots, and dishes. - Starting from Saturday to Thursday. 2nd floor is closed on Friday for changing. 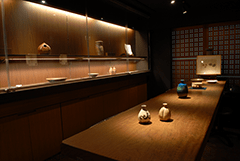 3rd floor [yume-no-sakai] – The smallest art museum in Tokyo.